Lapoc aims to become the premium online chess platform. We want to be the No.1 place for chess enthusiasts to play chess and develop their chess strategy. 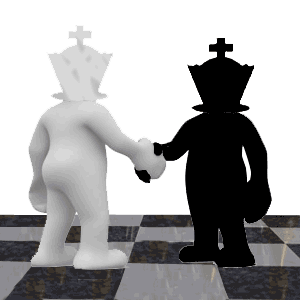 We want to be the first name you think of when you decide you want to play chess online. Over time we'll be building up an awesome arsenal of cutting edge strategy aids that will help you study openings in fine detail. All of the main variations in the most important openings complete with in depth explanations on the thinking behind the recommended book moves. You will not only open like a master but you will think like one too. The strategy aids will come in the form of databases and PDFs. They will cover every conceivable endgame you are ever likely to play. Middlegame themes and concepts will be coming onstream. You can additionally get great tips on our monthly ezine Lapoc Chess Board. Lapoc contains strategy related to every aspect of chess. We have disected chess into each stage of the game. And we have gone further. We have broken down the endgame, the middlegame and the openings. We've hit on the main themes and concepts along with some interesting extras. We also have a comprehensive look at openings, again hitting the best known. You can get the main lines in each of these along with the best sidelines. Lapoc is the best place to learn about all the past masters. You can play through their finest masterpieces. When you see how they played chess you'll want to do so yourself. You're just one click away, just hit Play in the left hand navbar. Over time we will be adding database study aids on the main openings, middlegame tactics and endgame themes, so watch out for those. I'm Ken Connaughton and I started developing Lapoc with SBI! as I began to work on my chess game. The website is basically the relevant tips and tricks that I picked up. I've filtered out the magic from the noise so you can learn what I learned in a fraction of the time. There's a ton of pointers that you can start with on the main website. Later I will have more advanced material available to download. It will be packaged for quick and easy learning. The goal is to pick up things in a few days that would otherwise take several weeks to master. Get in touch and hit me with some feedback on the site. Tell me what you think. Contact Us at any time.